I first made this site with a focus on hyperbaric and autism. I now am getting almost every other call from someone that has questions about lyme disease. Based on my research into Lyme since 2004 when I first started working with people with Lyme, I have noticed a trend. There have been people that have used hyperbaric oxygen chambers that have said its made a life change and others that have said they have been using one and notice nothing. I've notice that the people that that go from one health protocol to another are the ones that usually notice nothing. 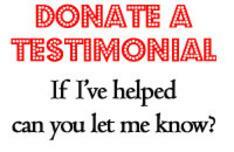 I just get off the phone from someone that has lyme and they want to get rid of their hyperbaric chamber and another person says how their friend has a hyperbaric chamber and it changed their life and they want to now buy one. Most people that are now looking for a hypebaric therapy chamber have used saunas, ionic foot spas, lymphatic exercises, and all types of supplements including green super food powders, probiotics, etc. I will say that the people that properly learned how to detox their body with lyme almost always are doing the raw food lifestyle or have learned from a place like Hippocrates or doing the protocols taught at OHI. A person calls me and just sold their infrared sauna because that didn't help and then give up making raw green juices every day because that didn't help. They don't realize they should probably doing whatever combination is best for them that does 3 things, oxygenated, alkalize and raise the voltage of the body. Just buying a hyperbaric oxygen chamber if the body is constantly acidic probably won't help. Or if the voltage of the body is low. Wearing a highly charged energy pendant and eating alkalizing foods can often be more helpful than just having a hyperbaric oxygen chamber alone without the other 2 things. Many people sweat daily and although this rids toxins it also lowers the body voltage. Knowing the right combination of detox for lyme based on knowing the pH first, voltage is most important. Many people try to oxygenate but their a pH problem. Others, try to alkalize but that is not the root of the problem, its their voltage. The people that get the best results from a hyperbaric therapy chamber use whatever protocols they are comfortable with as long as it does these 3 things. Same with kids with autism, they go in the hyperbaric oxygen chamber and sometimes get little results and then they wear the pendant and all the sudden it all just happens. There is only so much I can write on the topic of lyme without giving advice as I had to edit this page because, just say it was too informative. So, I have several people that I know that have lyme but have no symptoms at all with lyme. I know the stories of these people that may work for others. The most important thing about using a hyperbaric treatment chamber with lyme is probably the right combination of the 3 things that will alkalize, oxygenate, and raise the voltage of the person based on their energy levels, how long they have had lyme, and how they handle detox and how easily their body will detox. Note: I have been donated a few dozen of the highest charged pendants and stickers I can get to give to people. One of my customers who I helped bought these and I am giving a free pendant to anyone that has lyme disease or autism. Free of charge. I use it all the time except when I am sleeping as it gives me too much energy. These sell for 160 on the internet. I always wear one and keep 1 in my pocket. It also has EMF protection too. I will gladly give these out as requested. Call me if you want one. ​Now over half the people coming to my site have Lyme Disease. It is funny, I have never sold a new hyperbaric chamber to someone with Lyme, always used ones. Most people by the time they contact me who have Lyme, already are juicing, making green smoothies, have tried the ionic foot spas, tried to sweat it out, have gotten colonics, and have tried used many supplements. What I find more questionable, is that nearly all the people with Lyme are already working with a health practitioner and nearly all are on a different detox program. Nearly all are using a probiotic they swear by and I have heard of almost all the brands but everyone is on a different brand every time they call. Everyone thinks they are taking the best supplements. How can their be 200 different Bests. People with Lyme are the hardest people to get in a hyperbaric chamber as this is their last and most expensive resort. Most people have had Lyme a long time by the time they finally hear of the chamber and cannot afford it. I can do my best in making hyperbaric treatment chambers affordable to those with Lyme but 90% of the time they can't even afford a used one and used ones are way way cheaper than new ones. Those with Lyme are welcome to get their Doctor or someone with a health practitioners license or a military ID to get them a discount on a new one. Most people with Lyme are skeptical about hyperbaric oxygen chambers and look at me like I am a sales person that is not truly interested in helping someone. I will hang up on someone if I don't like the way the conversation is going. I am not going to be looked at and talked to like I am used car salesman. I run a raw food co op and sell all foods at cost and take time out of my day to help people so I won't' be treated like a salesperson. I know what has worked for people that have Lyme and what has not. Many people with Lyme are detoxing and doing lymphatic protocols but are so toxic inside that they can't process the lymph and waste and it gets recirculated and not eliminated. Its like trying to sweat while the lymphatic system is stagnant and expecting to just sweat out all the toxins. Many people with Lyme follow different protocols but do not either do them all at the same time or in the right timeline order based on their body ecology. I talk to people that have Lyme but zero symptoms anymore and they know too. I have stories of dozens of people that have overcame Lyme but depending on the starting voltage of someone which can easily be figured out by a volt meter, this will determine just the right program to follow. It is easy to know what would work best for someone with Lyme by knowing their starting voltage and pH level. When the body of someone with Lyme is oxygenated to the max and their voltage is high, and the pH is alkaline, it is very hard to. I am hearing more stories of people having success who use hyperbaric oxygen chambers for Lyme Disease and others that don't get any results who just use the chamber but don't alkalize or raise their body voltage any higher. I am open to help those but do not have time to spend hours on the phone like I used to. I have already learned what I needed to know based on all the feedback. In respect for those that are looking to get a chamber from me I will do my best to help those as an equal energy exchange. If you have Lyme Disease, please tell me up front. I reserve used chambers for sale and rentals of used chambers for people who are in the most dire situation. Take my Hyperbaric Quiz here. Our hyperbaric chamber quiz isolates all relevant issues without sales manipulation or hidden agenda. You should know these questions before buying a Hyperbaric Chamber. If any of the terms below are unfamiliar read the Glossary of Terms page before taking the quiz. Click as many boxes as necessary. How many years do you want to keep the chamber rated for the top PSI? Do you prefer sitting or lying down in the chamber? Are you going in the chamber alone? Are you going to operate the chamber alone or with someone? Are you going to use oxygen therapy? Do you care if it gets hot in there as long as you get the benefits? Does being in a muggy climate bother you? Do you prefer a particular brand? If you are a Hyperbaric Chamber dealer do not call me. I will hang up if I even think you are a dealer trying to trick me. If you are someone who has a hyperbaric question that I have not answered on the website, please let me know and I will try to answer it. I only try to help you based on the way you answer these questions, if you are looking to buy the right one for you. I don't promote for the sake of doing it. It all depends on what you want because it's your choice and money. What else should I know about you in order to give you the most accurate evaluation? What are the main reasons you are looking at hyperbaric chambers? How much oxygen saturation do you want? chamber anymore. I NOW know what is going on and my website is here to tell it. Where I am is not too cold or hot so it doesn't matter. I prefer made in U.S. I want to be directed to the right source, I don't want to waste time and money in the long run. I want to become a dealer so I would like to speak with the appropriate party. I just want to get one within my set budget. I will purchase right away if I can get approved for financing. I would rather not pay a low rental fee and not have to put down a refundable deposit.